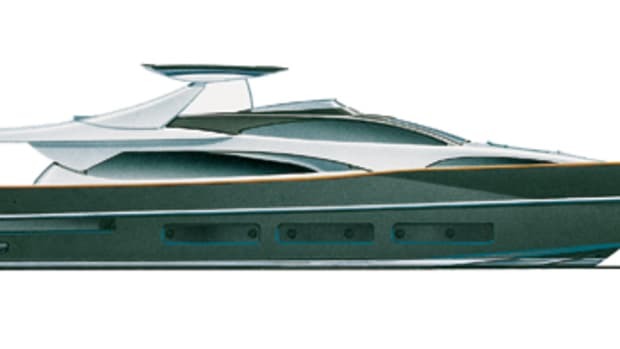 Prometheus may have been the fire bringer and Hercules may have slain the Nemean lion and turned it into a fancy hat, but here’s something those mythic heroes never did: Build a 122-foot planing megayacht out of aluminum. 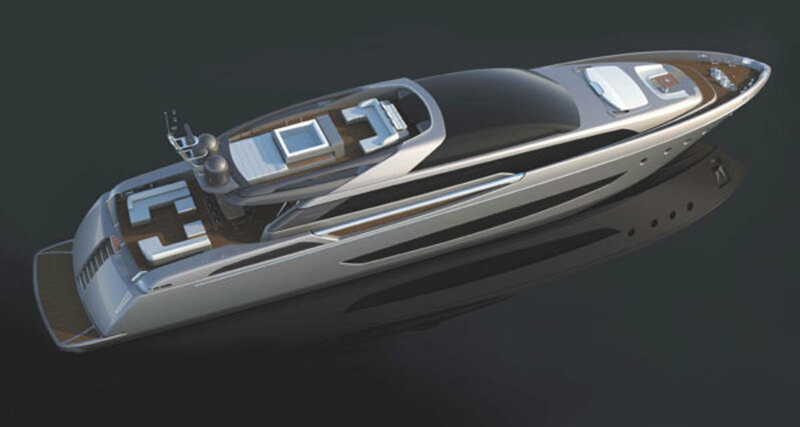 That’s exactly the formidable task the mortals at Riva are now undertaking, with their upcoming launch, Mythos. 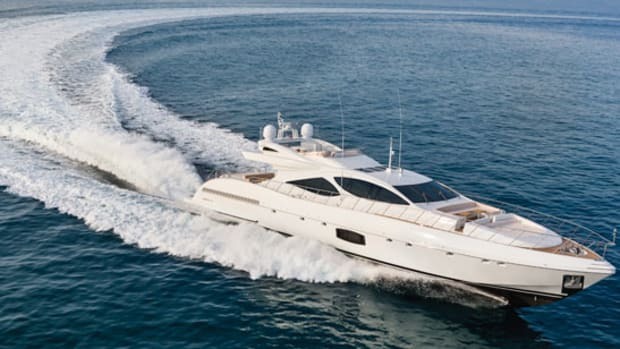 The yacht will be the new flagship of this iconic Ferretti brand, and should well live up to her ambitious name. 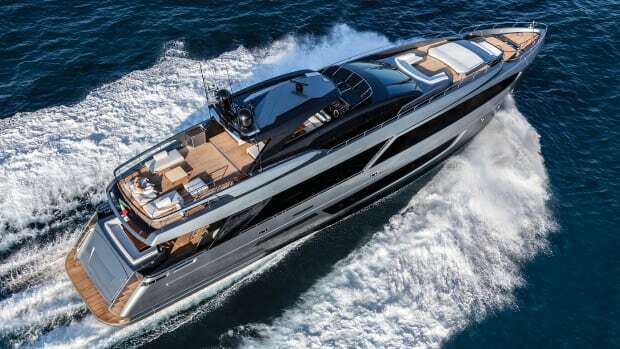 Riva’s own Mauro Micheli is heading up the yacht’s design process, in coordination with the employees of Ferretti’s Advanced Yacht Technology center, and Centro Stile Ferrettigroup. 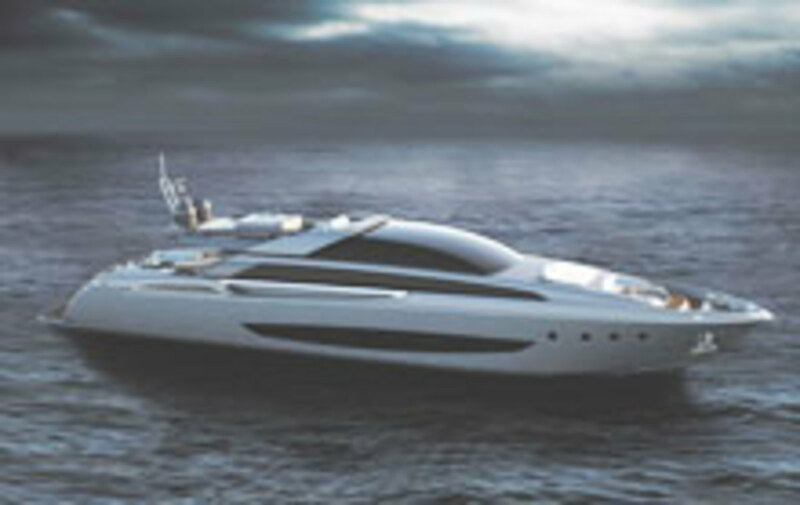 Their ultimate aim is to build a sleek, fast yacht that is loaded to the hilt with luxurious amenities, and which offers both exhilarating aesthetic and performance attributes. 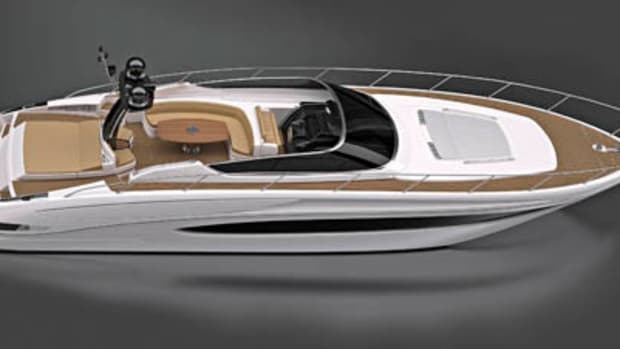 Twin 3,510-horsepower MTUs will have the big boat roaring across the ocean at a top speed of 27 knots, and a cruise speed of 25 knots, according to the builder. 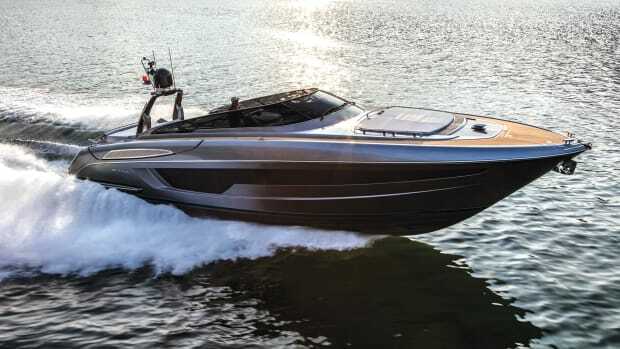 These speeds match her sleek, but not overly aggressive profile—an exterior aesthetic presence that will definitely impress onlookers with its elegance, but not overwhelm them with overwrought design features. Up top on the bridge deck, there is a Jacuzzi as well as multiple settees that are perfect for lounging around and drying in the sun after a dip. An adjacent dining area has a table that seems like it should be just the right spot for an icy bucket of bubbly. The cockpit will feature sunpads and a huge settee that should fit up to ten people, perfect for hosting an elegant (or raucous) alfresco dinner party. Forward of that, the luxurious saloon will be well lit by large windows, which of course also offer excellent views from nearly all vantage points. 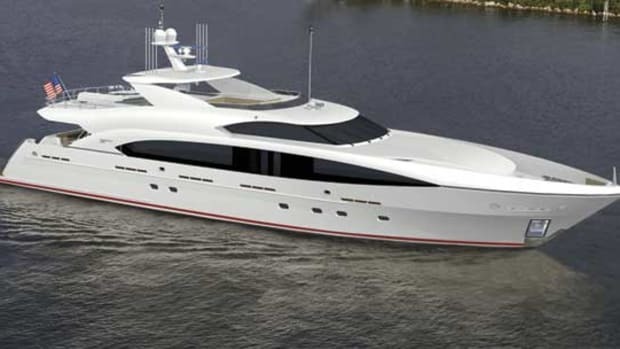 A forward galley lets a guest or owner handle culinary duties without missing out on the party, but the space can also be accessed via the crew area belowdecks, in case everyone would rather be catered to. 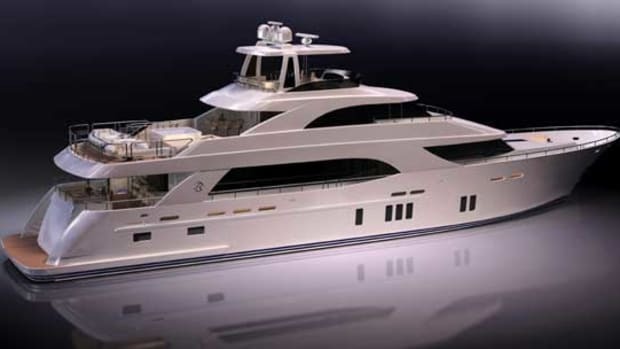 Down below, the owner’s suite and guest cabins will be amidships, while the crew’s quarters, consisting of a captain’s cabin and two crew cabins, keep everybody comfortable, and comfortably separate. 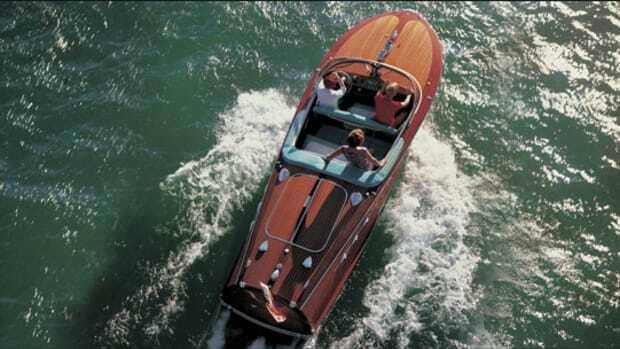 This is a boat that looks like she could do a little bit of something for everyone, and in luxurious style to boot. In short, she just might end up being truly epic. 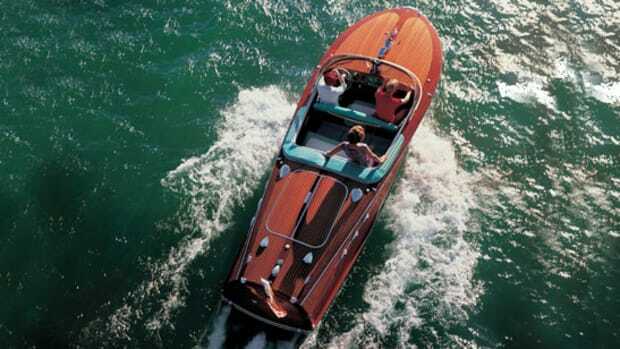 Click to see listings of Riva Yachts currently for sale on BoatQuest.com.